Today we released our first quarterly JW Trends in Online Video report, which looks at the state of online video across six continents. Data reviewed includes findings for trends across our global network of video publishers and aggregate growth relative to large scale online video services. The report highlights JW Player’s recent growth and analyzes video streaming and consumption habits across devices, platforms and geographies within its network of connected players. Unlike studies that focus only on the top 10 to 20 video sites in the United States, JW Player’s data is representative of the global “long tail” of video, millions of diverse international publishers around the world comprised of small, medium and large video sites. JW Player 6.11 is now available across all of our platforms. This release dramatically improves HLS functionality and supports new features from Apple’s latest specification. With 6.11, any site that uses JW Player gains access to premium video player functionality typically only available from services like Netflix, Hulu+, and Amazon Prime Video. 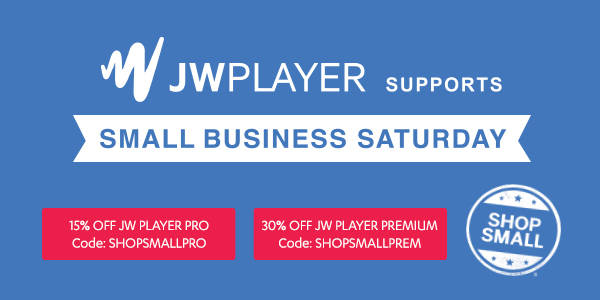 As Small Business Saturday approaches, we would like to show our support for small businesses with a special promotion on our pro and premium player editions! These products offer streaming, branding, and analytics to help your business optimize video marketing. JW Player’s VP of Devices, John Luther, will be presenting at Streaming Media West next week! 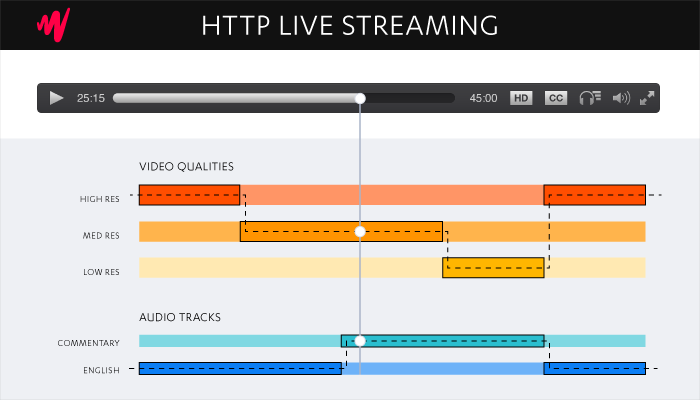 John will be a speaker on the panel “Replacing Flash: Adaptive Streaming and DRM in HTML5” on Tuesday (11/18th) from 2:45-3:30pm. John will discuss the emerging role of MPEG DASH and the W3C Media Source Extensions (MSE) standards in the efficient delivery of web video. At JW Player, we believe MPEG DASH will be the successor to HLS and become the standard for streaming video content across multiple devices. We're pleased to announce the Public Beta release of our JW Player SDK for Android. This software developer kit (SDK) enables publishers to easily build the JW Player video and advertising features they love into native Android apps. Cisco predicts that by 2018, two-thirds of the world's mobile data traffic will be video content. According to ComScore, 47% of Internet traffic is attributed to mobile apps (more than desktops) and the average mobile consumer spends 86% of their time using mobile apps. JW Player for Android SDK opens this fast-growing world of native mobile apps to the community of over two million web sites that use JW Player. At the same time, this SDK empowers publishers new to JW Player to include video and audio streaming in their native Android apps. Meet JW Player at the 2014 IBC Conference! Come meet our very own Jeroen Wijering at the 2014 IBC Conference in Amsterdam from September 13th-14th. IBC is the global meeting place for everyone engaged in creating, managing and delivering the future of electronic media and entertainment technology. You might have noticed a “spinning logo” banner on the JW Player Labs site today. We are participating in the 2014 Internet Slowdown. The banner will only be shown today, and only once to each site visitor. We aren’t actually slowing down our site or software. 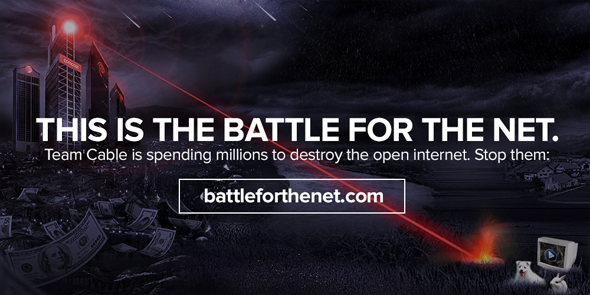 The Slowdown is a coordinated symbolic act to raise awareness of the Net Neutrality debate. On the Internet, all data on the network is treated equally--it is a neutral, level playing field. The pages that are served from your personal blog are given no more or less priority than pages from other sites on the Web, even giants like Google or Facebook. The same is true for Skype calls, Netflix movies, and any other application that uses the Internet to transmit data packets. JW Player 6.10 is now available across all of our platforms. This release adds simplified and more powerful advertising capabilities along with expanded functionality for Google Chromecast. 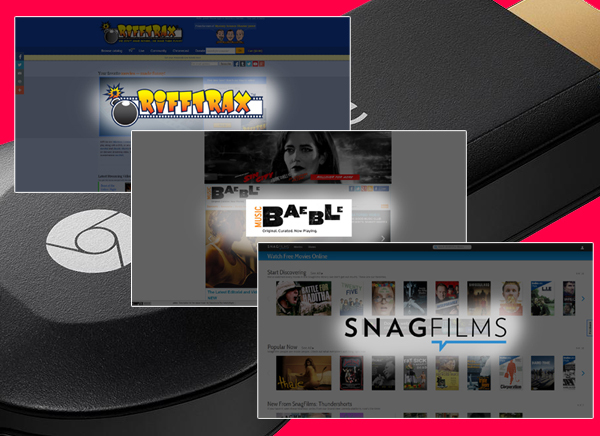 As the new kid (CTO that is) on the block, I’m excited to share that a number of our customers including Baeblemusic, SnagFilms, and RiffTrax have gone live using JW Player’s Chromecast integration for their video player deployments, enabling users to interact with their content on the big screen. Our customers have enabled streaming of free movies, TV shows, music videos, artist interviews, movie trailers, video game highlights, video gameplay, and paid original video content for their users via this integration. These rollouts rapidly follow the launch of Chromecast support in July, which enables users to cast video onto a Chromecast connected TV and then use their computer as a remote control. JW Player is the only standalone web video player on the market offering Chromecast streaming that is fully integrated with standards-based VAST video advertising, as well as the ability to customize the look and feel of the branded video player in the primary screen. Keep reading to see more of our amazing Chromecast customer integrations! Jeroen Wijering, the creator of JW Player will be part of a panel discussion this Tuesday at the Meetup.com headquarters, and he will be discussing the evolving concept of “seamless technology”. Jeroen will be joined by Will McLeod of Keen Home, Daniel Klainbaum of Moment Design, and David Antunes of Applico, Inc. Each of the panelists have their own ideas of what “seamless technology” means to them and to our future, and we can’t wait to be a part of the discussion that will follow. We would love for you to join us at the Panel! You’ll have a chance to ask Jeroen and the other panelists questions, as well as enjoy a drink or two at the Meetup Headquarters. To RSVP (it’s free!) and find more information, head over to the event page on Meetup.com.